During the second week in Coober Pedy was focused on preparations for the BWSC. 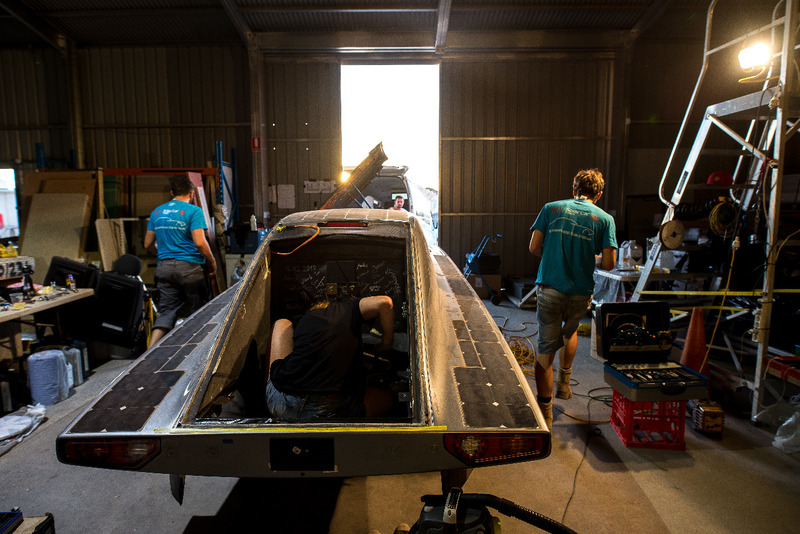 First, the team trained in a pre-scrutineering for the technical acceptance test, which is a BWSC regulation and a requirement for participating in the challenge. In this test, the basic features of the car, such as adjusting the solar arrays, and the light are presented and checked. Unfortunately, a major problem has been discovered at the rear chassis in further consequence of the previous prerun. Driving, or transporting the thyssenkrupp blue.cruiser in a trailer is, at the moment, impossible. The repairs force us to stay longer than planned in Coober Pedy, but as soon as the repairs are completed, we are going to depart to Darwin. The whole team is working on a solution, and feels certain about going back on the road soon.